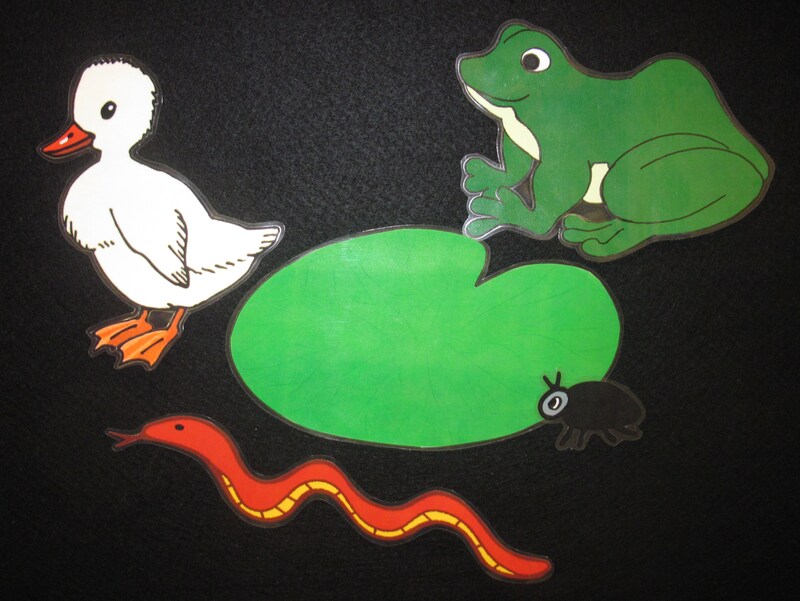 Here’s an entire duck-themed storytime without any 6, 5 or 4 little duck rhymes or songs. They are great favorites and I’ve included them in the “Additional Rhyme Section” at the end of this post, but I wanted something different for this storytime. Get ready to move, sing, laugh and waddle! This week we learned to sing our opening song using sign language! You can print my handout, with instructions and pictures, here. The ducks on the bus go flap flap flap!…. The ducks on the bus go waddle waddle waddle!…. The ducks on the bus go Quack Quack Quack!…. There’s a little white duck sitting in the water. A little white duck doing what he oughter. I’m a little white duck sitting in the water. There’s a little green frog swimming in the water. A little green frog doing what he oughter. I’m a little green frog swimming in the water. There’s a little black bug floating on the water. A little black bug doing what he oughter. I’m a little black bug floating on the water. There’s a little red snake playing in the water. A little red snake doing what he oughter. He frightened the duck and the frog so bad. I’m a little red snake playing in the water. Now there’s nobody left sitting in the water. Nobody left doing what he oughter. There’s nothing left but the lily pad. ‘Cause there’s nobody left sitting in the water. Sing this 3 times, each time getting a little bit faster. Quack quack, quack quack, quack! 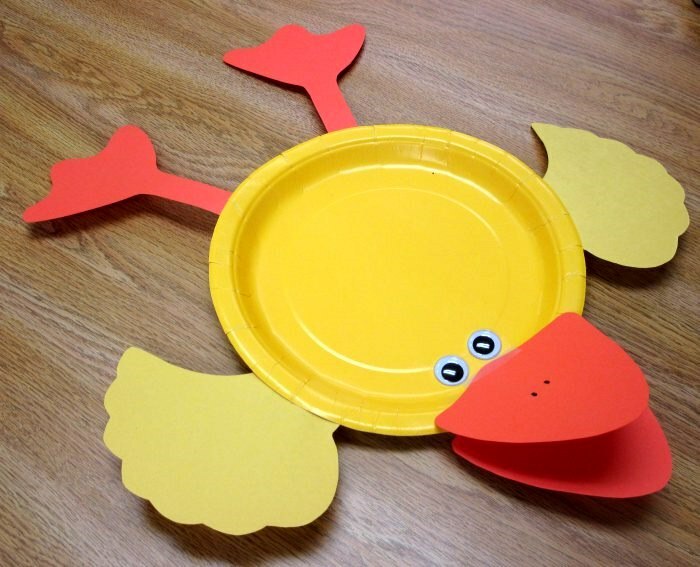 This is a simplified version of the paper plate duck found on Danielle’s Place of Crafts and Ideas. But he couldn’t catch me! “I think she needs to be a little bit louder – can you help mother duck? They are full of glee. Over and under the other five. I do a Story Time program at the Priest River Library, Priest River, Idaho every Thursday morning. I love animal themed programs and often do Ducks. Thanks for sharing, it is always inspirational to see what others do for the little ones in our communities. 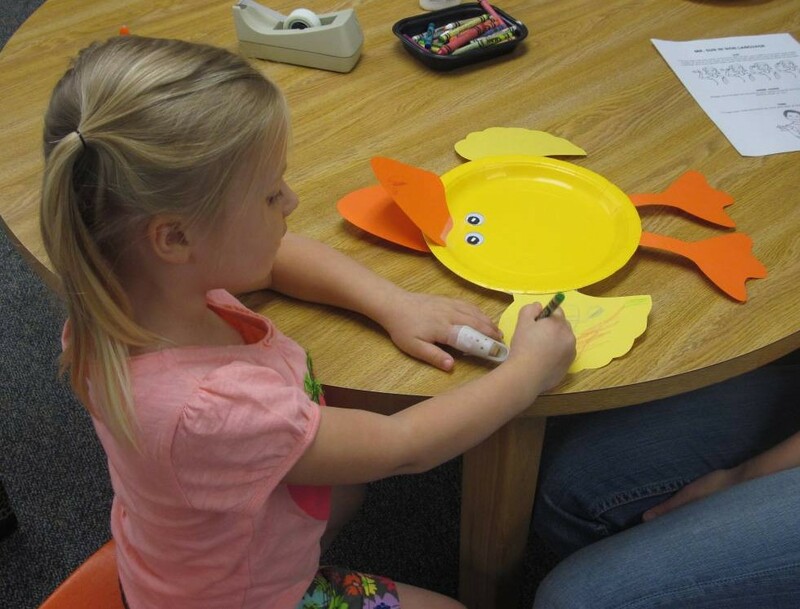 Great Toddler storytime for ducks! Thank you for the ideas! Although I’ve been doing library storytimes for toddlers and preschoolers for over 20 years, I always look for new additions to my themes — if I’m not excited, how can I get them excited over it? Going to learn the sign language motions for Mr. Sun — and then teach my granddaughter (it’s her favorite song!) as well as the storytime kids. Thank you for sharing! Great ideas! I do Mommy and Me classes for Spanish speaking moms and their pre schoolers in the DC area. The songs have been priceless in helping both the adults and kids begin to learn and speak English! Thank you for sharing!